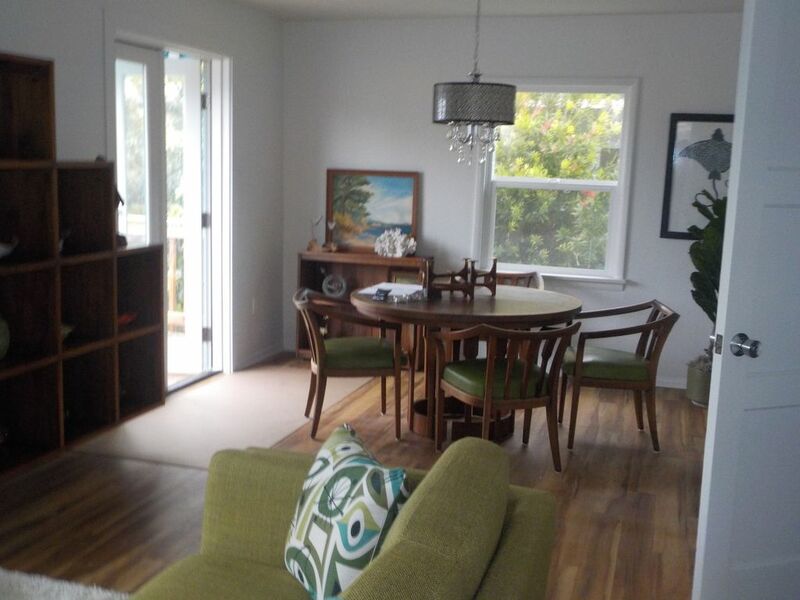 Captivating Cayucos Charmer-The ultimate beach setting. From the moment you drive up to this Cayucos Charmer, your mind and body will become relaxed. Upon opening the front door, you will step back in time and enjoy the Mid-Modern furniture and decor while viewing the Pacific Ocean n the background. Conveniently located near beach access and only a short walk into town, you will soon be making reservations to come back again. Our guests will enjoy one of the last true beach communities in the state of California. Conveniently located to wineries, art galleries, and the redwoods, come experience serenity. Born in the south bay area of California and eventually graduating from Cal Poly State University in San Luis Obispo, I found the community I wanted to start my family. The central coast offers the beach, redwoods, and plenty of outdoor activities within a 40 mile radius, not to mention the outstanding wineries that have made headlines around the world. The home was purchased with a vision in mind. Most folks would have driven past this property for it was covered with bushes and in need of much TLC. So, enjoy the renovated home along with the amazing views of our creation. Location, location, location. Being in this home will make you body relax and forget the busy work week. Sit on the sofa and just melt in the warm sunlight as the ocean breeze flows through the windows. There are also several outdoor areas that are cozy places for relaxing or reading a book. toilet, shower, Please squeegee the glass after showering. Very clean, bright and colorful bath area. Soft linens and other essential amenities are included. Take in the views of the foothills while enjoying breakfast in the nicely landscaped front patio area. A view of the Pacific Ocean from every room in the home. Dig out the binoculars from the drawer and watch the boats & seasonal whales from the rear deck. Fresh linens provided,washed with conditioned water. Located in Laundry room with folding table. Off-street parking area with easy access to the front door. Shower towels and Beach towels for the beach. WIFI Network name & Password to be provided in Guest Book. Cozy sofa positioned with views of the Pacific Ocean. The dinning table location is in front of outward opening French Doors which has views towards the west where you will see some of the most beautiful sunsets. Record player and plenty of classic vinyl records to enjoy. Tandem bike and helmets provided upon request. Lounge on the rear deck and enjoy a cup of coffee in the morning or a glass of wine in the evening under the stars. A short drive up the scenic coast along Highway 1, guest can make a trip to the famous Heart Castle in San Simeon (reservations are required).